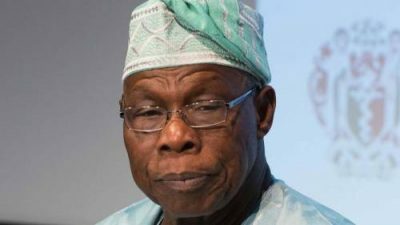 A coalition has urged António Guterres, United Nations secretary-general to strip ex-President Olusegun Obasanjo of all his associations with the UN, including his recent role as a member of the UN high-level advisory board on mediation. In a letter dated September 18, the coalition made up of Nigerian and South African nationals said Obasanjo is unfit for the new role as well as other related ones as a result of his “bad” precedents. Members of the coalition include Ademola Araoye, former head of office for the Consolidation of Democratic Governance (United Nations Mission In Liberia, UNMIL); Essop Pahad, a former South African minister; Kunle Ajibade, executive editor, TheNEWS/PM NEWS; and Garth Le Pere, extraordinary professor of international relations, University of Pretoria, South Africa. Guterres had appointed Obasanjo into the panel which consists of 18 global leaders in 2017. In the letter, they said Obasanjo is not fit to rescue Africa or the world as a result of his “sordid” profile both in the public and private sectors. “The United Nations should be protected from contamination from the likes of Obasanjo, whose life career has been antithetical to the Charter of the United Nations and has undermined the ethics and values of this great organisation,” the letter read. “This protection is required in order for the United Nations to remain a highly valued, constructive partner of the peoples of the continent, and to be perceived as such by African peoples. Given his character, the controversial history and debilitating outcomes of his personal involvement in Nigerian affair, Obasanjo has been publicly declared as unfit to lead a mission to rescue Nigeria and restore the nation to sanity. “Given this profile, we affirm that his association with the United Nations is a grave error fraught with potentially incalculable harm to the already fragile ethical fabric and upended value systems of not just Nigeria but the totality of African society. They cited alleged extrajudicial killings carried out “under Obasanjo’s watch”, including the death of Bola Ige, one-time attorney general of the federation, the killing of “over 300 unarmed Nigerian university students and innocent civilians” during his tenure as military head of state as well as the Odi massacre in which hundreds were also killed. According to the coalition, “there is an associated nagging question pertinent to Obasanjo’s appointment which is: would anyone with Olusegun Obasanjo’s public and private profile be considered fit to represent any other continent apart from Africa? They added that Africa is blessed with men and women with “impeccable records” and that “the choice of any of them will serve as an inspiration, not only to Africans but to the world.